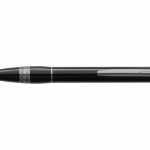 Beautiful Pencil Drawing sketch pen Leonardo Montblanc with mina 5.5 mm in black precious resin with platinum finishes, mechanical pushbutton and tempera undermines built. 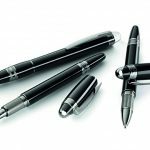 In memory of one of the most revered figures in world history today, the John F. Kennedy Special Edition is caratterizzta by symbolic references to his life which find expression in the refined dettaglidi design. 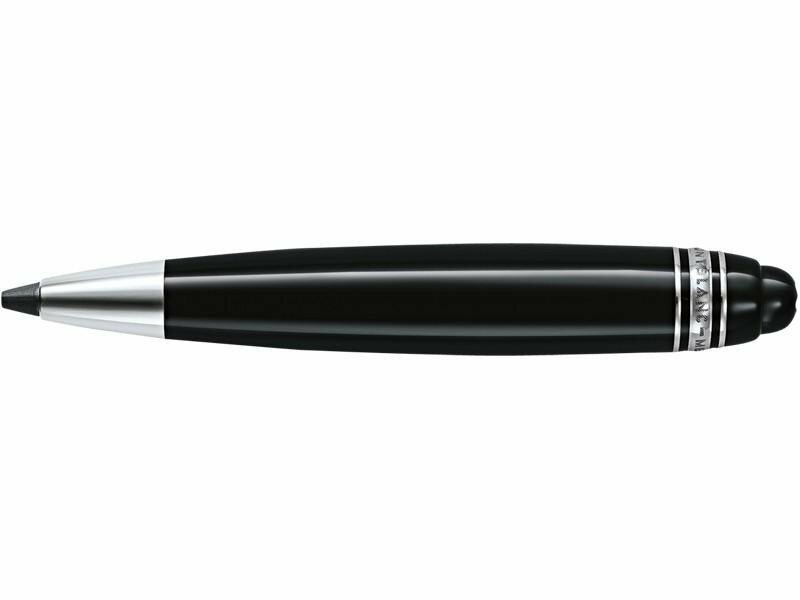 The precious resin blue symbolizes the period in the Navy statunitense.Le his initials are engraved in platinum-plated clip while the three Eternity cap representing three fratelli.In tribute to the hopes and dreams of the nation, represented by the Apollo space program of Kennedy, the 18kt gold nib (585) made by hand inscribed with the lunar module landed on the moon in 1969. 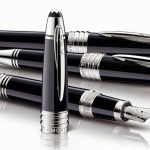 Available as a fountain pen (€ 820.00), ballpoint pen (€ 635.00) and rollerball (€ 695.00) the Special Edition is crowned by the Montblanc emblem in precious resin. 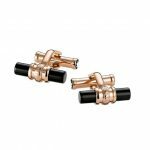 Montblanc Meisterstuck Cufflinks series 90th anniversary, fine steel, PVD gold and red onyx bar.